(Shirts, Ears & Much More)! Looking for deals on Disney items. This is a great way to save if you are planning a trip, or just if you are a super Disney fan and are looking for affordable Mickey items and more. 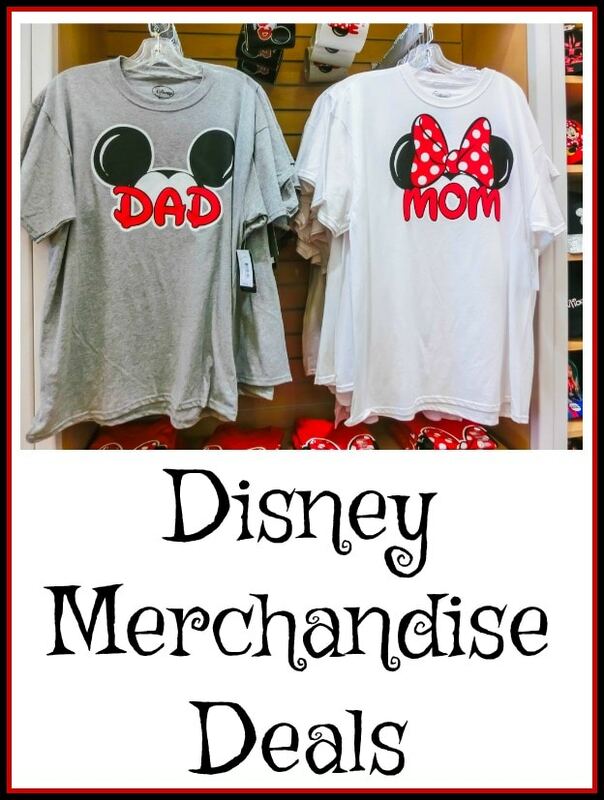 We will be sharing places you can save big on Disney items, including the Disney store when things go on sale there, as well as other stores we have gotten great deals on Disney merchandise before. If you are purchasing items for an upcoming Disney vacation, be sure to pay close attention to shipping dates and make sure they work for your travel dates! 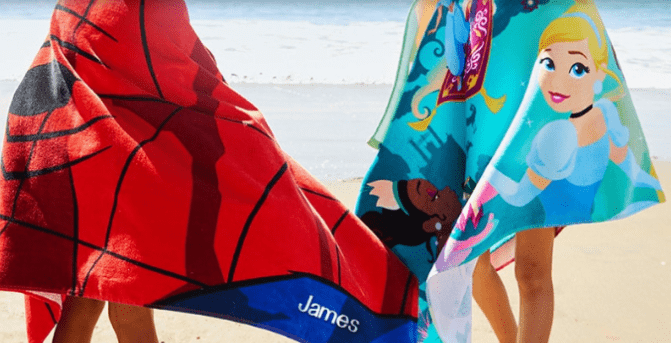 Personalized Disney Beach Towels for $12.20 (use promo code SPLASH to bring towels down to $11.20 and then promo code DOLLARPZ to get $1 personalization! This offer is good through tonight (4/19) only. 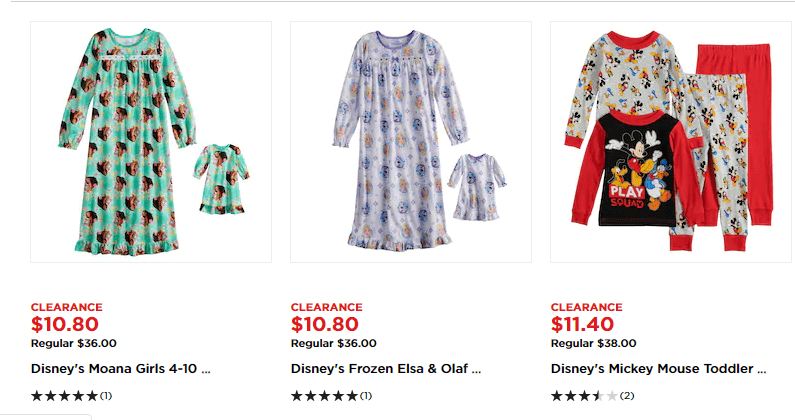 Target – Right now Target is offering an extra 20% off select kids clothing at checkout. It includes a lot of Disney items! 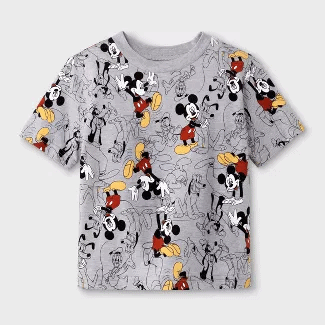 You can get deals like this Toddler Boys’ Mickey Mouse Print Short Sleeve T-Shirt for $6.39! 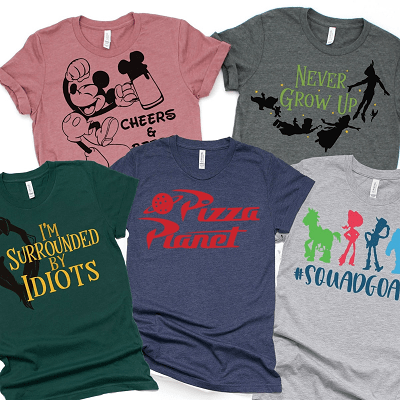 Jane – Grab a cute Villain Vacation Inspired Tees for $13.99 (Reg $25). Disney Store – Through today (4/19), Disney Store is offering an extra 30% off select items. 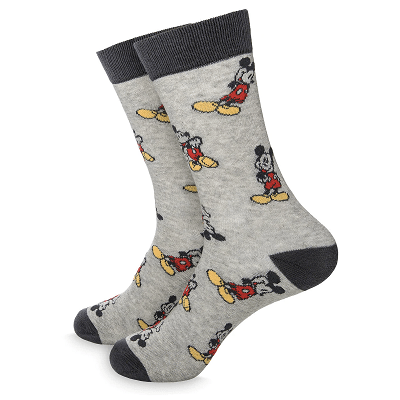 You can get deals like these Mickey Mouse Crew Socks for Women for $4.16! Just use code BONUS30 at checkout. Macy’s – These are cute! 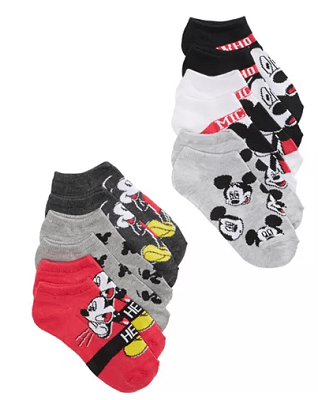 Snag this Mickey Mouse Disney’s 6-Pk. Graphic-Print Socks for $7.99 (Reg $14). 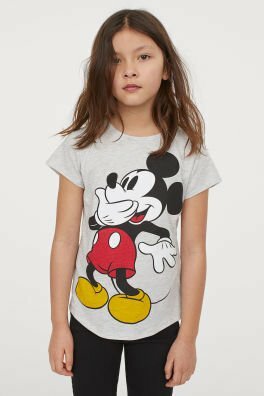 Disney Store – Has these adorable Minnie Mouse Birthday Tee for Girls for $4.99 (Reg $16.95). Jane – You can get these adorbale Magical Pigtail Sets for $5.99 (Reg $10.99). 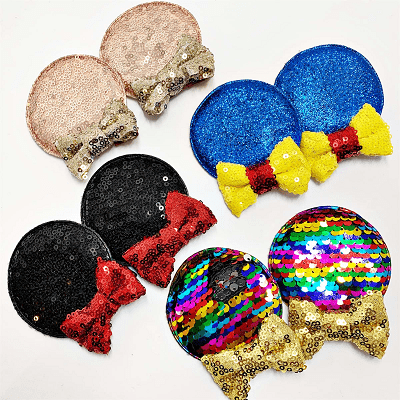 Amazon – Right now Amazon has a pretty nice deal on this Set of 12 -Mickey Mouse Ears. 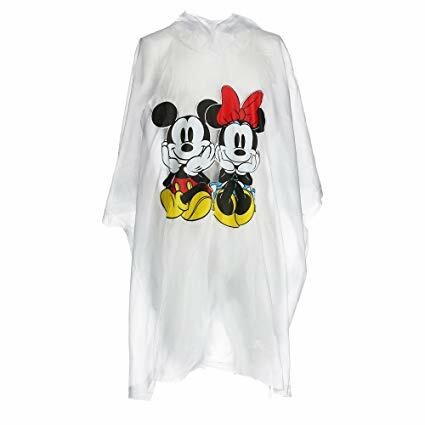 These would be great if you have a group going to the park or if you are having a Disney party. 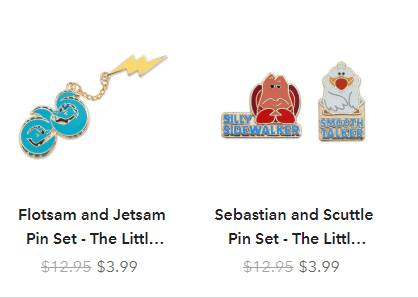 Disney Pins on sale for as low as $3.99 (these are great prices for pins, and the perfect ones to purchase ahead of a Disney trip for the kids to use for trading purposes. This can save you big time on pin trading)! 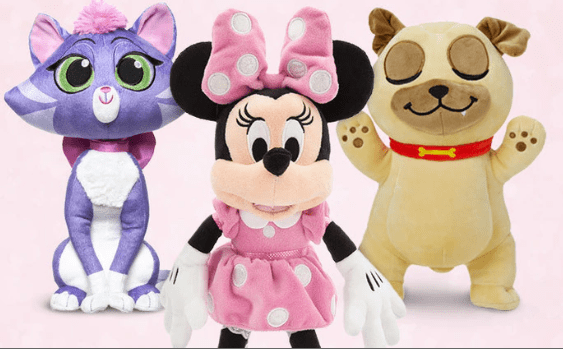 $10 Disney Plush Sale for a limited time. This is a great deal on licensed Disney Plush toys, to pack for a special Disney vacation, or just because! 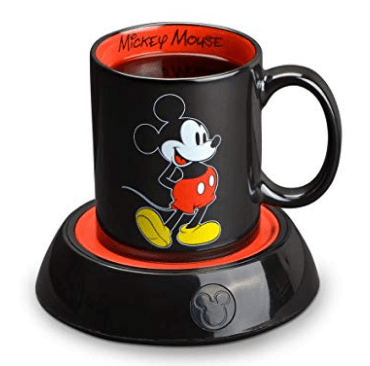 Amazon – Keep your coffee warm with Mickey! You can get the Disney Mickey Mouse Mug Warmer for a pretty low price right now. These make great gift ideas for any coffee loving Disney fan! We also love to use our Cricut to make Disney Shirts before our trips. Find deals on Cricuts here, and some examples of items we have made!